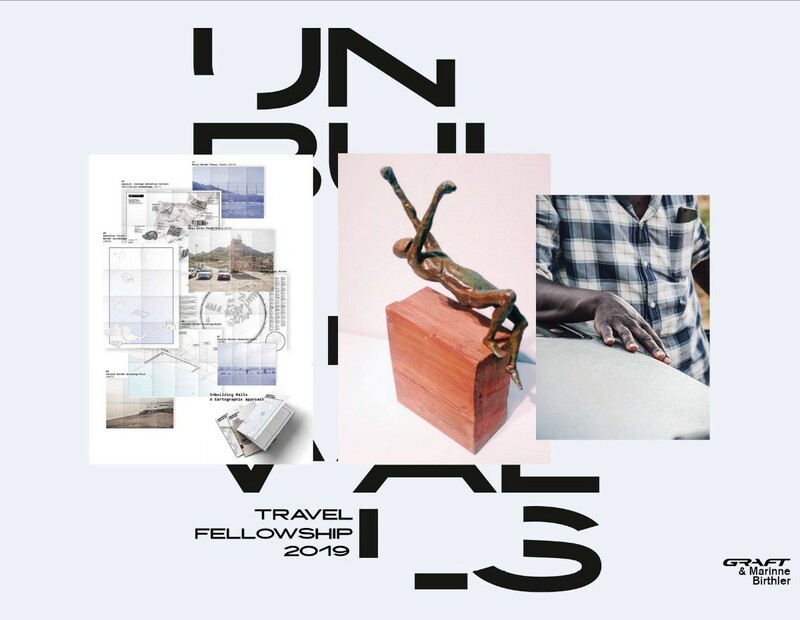 Jury members Marianne Birthler together with Lars Krueckeberg, Wolfram Putz and Thomas Willemeit from GRAFT, chose two winners from numerous applications from over ten countries for this first UNBUILDING WALLS Travel Fellowship. Antonio Giráldez López (Spain) and Brooke Adams (USA) were awarded with 3,000 € each. The prize supports an educational or project excursion, on-site research and the implementation of the results. Follow the process at #UnbuildingWalls. The results will be presented in November 2019. In his project “More Than Walls” Antonio Giráldez López is cartographying the territorial assemblages of the European Border in the strait of Gibraltar. The contemporary border cannot be understood only as a singular architectural system, but an interconnected assemblage of elements of different nature: surveillance systems, drones, buildings, vehicles, walls, and even human matter. All together they form an apparatus disseminated on a broader territory than the perimeter line that used to represent the geopolitical boundaries of any sovereignty. What causes people divided by political views, religion, socioeconomic realities, etc. to become friends? Adams artistically captures stories where walls of divide have been overcome while focusing on people of various races, education levels and locations throughout the U.S. She will partner with local non-profit organizations (NGO) already unbuilding walls. This could be related to increasing acceptance of immigrants in a community, peace and reconciliation between religions, changing negative perceptions of people experiencing homelessness. The results will be displayed at a photography exhibition. 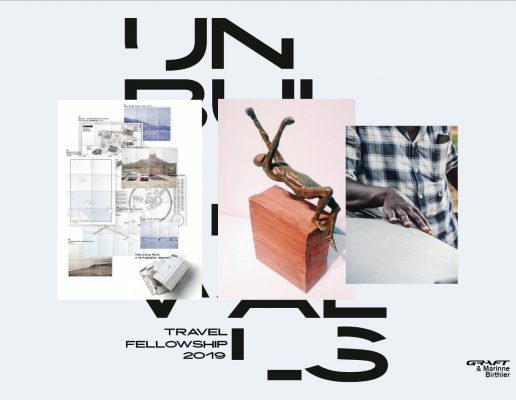 Following on from the UNBUILDING WALLS exhibition at the 16th Architecture Biennale in Venice, the curators have announced the awarding of two UNBUILDING WALLS Travel Fellowships with a value of 3000 € each. The prize money supports an educational or project excursion, on-site research and the implementation of the results in concrete projects. Projects should examine the respective physical as well as mental barriers and ways to overcome them. They can focus on urban and architectural questions as well as social and political aspects. 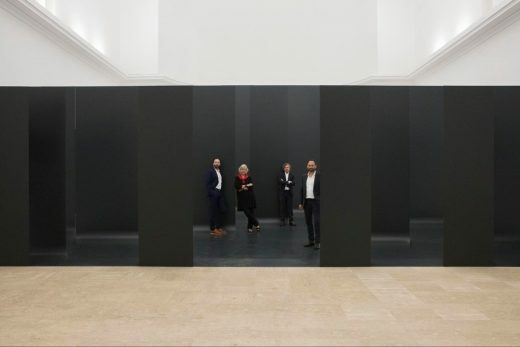 Inspired by the exhibition UNBUILDING WALLS, projects may examine current debates on nations, protectionism and border demarcation as well as other barriers not necessarily related to nationalist perspectives. They might be concerned with social segregation and other “walls in the mind” and should incorporate and integrate social and sociological components as part of an overall holistic approach. In cooperation with Marianne Birthler, Graft Architects are curating the German Pavilion in 2018 under the title UNBUILDING WALLS, on behalf of the Federal Ministry for the Environment, Nature Conservation, Building and Nuclear Safety. On February 5, the Berlin Wall has disappeared exactly as long as it existed. The exhibition “UNBUILDING WALLS” responds to current debates on nations, protectionism and division. As the world grows together, walls are increasingly being discussed and built that divide people from one another. Walls can denote division, power and exclusion, but also protection. In 2018, Germany will be reunified for 28 years – exactly as long as the Berlin Wall (1961-1989) existed. 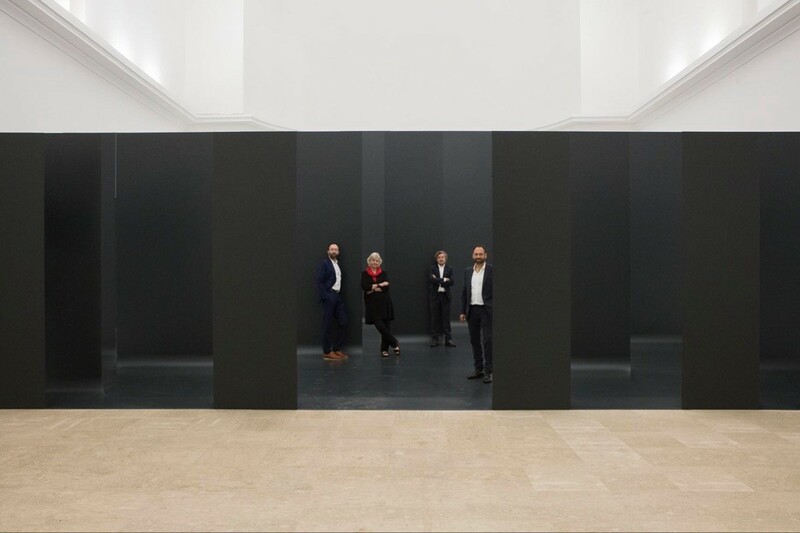 In the German Pavilion, GRAFT and Marianne Birthler take this parallel as an opportunity to explore the effects of division and the process of healing as a dynamic spatial phenomenon. With reference to the central theme of the Architecture Biennale “Freespace” devised by Grafton Architects, special focus will be given to outstanding examples of urban and architectural design that address aspects of division and integration. The inner German wall, whose existence and deconstruction became a symbol for the failure of dialogue and its overcoming, serves as a starting point and background for the current international debate on exclusion and division. 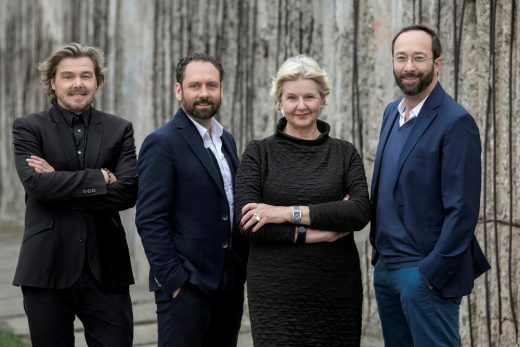 The curators of the German Pavilion at Architecture Biennale 2018: GRAFT founding partners Lars Krückeberg, Wolfram Putz and Thomas Willemeit together with Marianne Birthler. GRAFT was founded in 1998 in Los Angeles by Lars Krückeberg, Wolfram Putz and Thomas Willemeit. With additional studios in Berlin and Beijing, the hybrid office works around the globe in the fields of architecture, urban development, design and communications and is known for its experimental and multi-disciplinary design approach. Since its founding, the office has undertaken self-initiated projects alongside design commissions, including the SOLARKIOSK and its work as a founding partner of the Make It Right Foundation and with Heimat2. In 2014, GRAFT’s partners founded GRAFT Brandlab together with Linda Stannieder, a communications agency working at the intersection of architecture, design and branding. GRAFT comprises an interdisciplinary team of 150 employees. Basel, March 2017 – Covering over 500 pages, Birkhäuser’s new book GRAFT – Home. Story. offers a broad insight into GRAFT’s highly diverse “four walls”, showcasing permanent and temporary dwellings from detached houses to tower blocks and ultimately mansions and luxury hotels. GRAFT’s architecture reveals a sense of insatiable curiosity and eagerness to experiment – all the while foregrounding the unique aspects of each project and thus also the development of highly disparate spatial concepts. 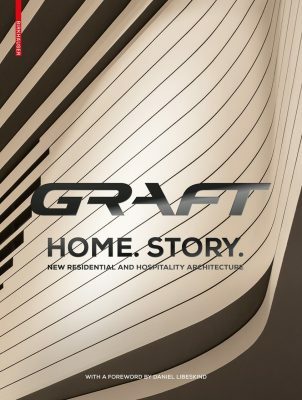 “GRAFT uses architecture as a dynamic way forward and as an exploration of creativity, rather than creating finished products.” (Daniel Libeskind, foreword). The word “home” by no means denotes a lifeless shell offering its inhabitants protection but rather a true “home” that consistently reflects their needs and identities. GRAFT adopts this personal disposition for its concepts and designs, and the firm’s architecture is accordingly varied – alongside amorphous and futuristic mansions in Kuala Lumpur, Home. Story. also documents clearly structured, sustainable buildings in Berlin or glassy tower blocks in Las Vegas. And both the innards and the exteriors of the buildings are addressed – for example, Home. Story. also presents furniture and fittings such as door handles designed by GRAFT. Home. Story. does much more than simply document the sophisticated residential building projects undertaken by GRAFT. With a collection of illustrations, the book also tells the story and development of an architectural practice that is not content being tied town to a specific style but is rather in a constant state of evolution. GRAFT was founded by Lars Krückeberg, Wolfram Putz and Thomas Willemeit in Los Angeles in 1998 and now employs over 100 creative people in Berlin, Los Angeles and Beijing. The global architectural practice acts as an interdisciplinary “hybrid office” in the fields of architecture, design and art. There is an increasing tendency towards a flight into the ivory tower of architecture, as the discipline gets confronted with the phenomena of global market and mass-culture. The reactionary lethargy of a retreat from the struggle with society leaves no significant position in the field of cultural production for the protagonists of the discipline. Architecture is perhaps the last field, which refuses to confront itself with that dilemma, even though the star system starts to be introduced into its realm with the faces of Frank Gehry, Richard Meier, and Rem Koolhaas on the front pages of popular magazines. The urge to create one’s personal style, in order to become a successful trademark leads to a specialization into certain fields including the danger of failure. Today’s architects are facing the problem that a specifically styled tool, however adorable per se, might not be appropriate for every task given. An adequate style and method for one operation can be unsuccessful in another. In the coherency of architectural thinking, methodology, function, and formal language lies an advantage and a danger at the same time: there is no doubt about the strength of a pure style, but one cannot deny the inevitable limitations of a fixed ideology either. This ideological enclosure can not be opened up through the replacement of one system of beliefs through another or a combination of others, but only through the introduction of methodology instead of ideology – the destruction of exclusive borders through the introduction of inclusive structures for the production of the border-less. In that sense the term style has to be reevaluated and redefined, the concept of style will have to be reformulated. Used as an internally coherent tool to homogenize the cultural production of a region or period, the term has to accept its role as an internally conflicted methodology for the production of a heterogeneous pool of results. Architects have to embrace the concept of style, instead of rejecting it. Every creation involves one or more styles. To make a good building a single style is usually chosen. But a movie like Casablanca is not satisfied with that. It uses a multiplicity of archetypes and styles, resulting in the effect that each viewer can see something different that the others have missed. Casablanca is a cult movie because all the archetypes are there, because each actor repeats a part played on other occasions, and because human beings live not a “real” life but life as stereotypically portrayed in previous films. Should architecture not try to follow a similar path through the simultaneous dissipation and embracing of its interiority? Casablanca became a cult movie because it is not one movie. It is “movies”. And this is the reason it works, in defiance of any aesthetic theory. For it stages the powers of Narration in its natural state, before art intervenes to tame it. We can see an architecture of new combinations, the grafting of different cultures and styles. The English word graft includes a variety of meanings and multiple readings. It has a particular meaning in the terminology of botany, the grafting of one shoot onto a genetically different host. The positive properties of two genetically different cultures are combined in the new biological hybrid. With botany as a point of departure we can look at graft as a phenomenon in human culture and examine its implications for Architecture. We can look at a wide variety of archetypes from different sources without prejudice – high culture, low culture, philosophy, banality, architecture, movies, literature, sports, etc. – and analyze their similarities and differences. Based on extensive and all-inclusive research a pool of resources is being created that opens the possibilities for different ways of communication between the elements – Adjacency, Juxtaposition, Overlapping, Hybridization, Fusion. This creation of relationships between singular elements will be called ‘graft’. It refuses to accept the exclusive limitations of artificial borders between disciplines and elements and opens new possibilities for the creation of all-embracing products. Unexpected and surprising misunderstandings, global transfer of architectonic beauty, robust crossbreeds – architecture derived out of circumstances, which can only be created through the grafting of different realities. February 11, 2019 in Architects.